Named one of the world’s top ten parades, the Chinese New Year Parade in San Francisco is the largest celebration of its kind outside of Asia. It was started in the 1860s and takes place the weekend of the Chinese New Year Community Street Fair (Feb. 23-24, 2019). Typically, over 100 groups will participate in the parade and many of the floats and specialty groups will be featuring the theme of this year’s Chinese zodiac sign. Nowhere in the country will you see a lunar new year parade with more gorgeous floats, elaborate costumes, ferocious lions, exploding firecrackers, and of course the newly crowned Miss Chinatown U.S.A. and her court. A crowd favorite will be the new and spectacular 288-foot Golden Dragon (“Gum Lung”). It takes a team of over 180 men and women from the martial arts group White Crane to carry this dragon throughout the streets of San Francisco. This year’s Southwest Airlines® Chinese New Year Parade promises to warm your heart and electrify your senses, come rain or stars. 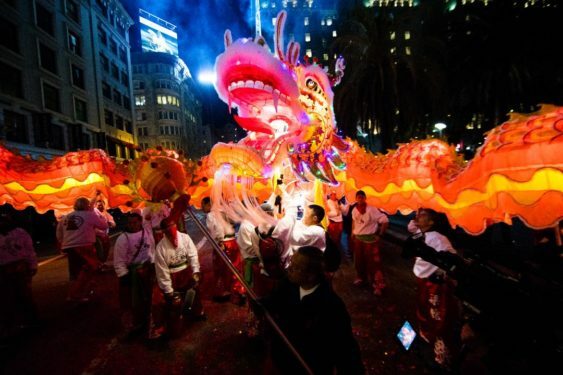 The Southwest Airlines Chinese New Year Parade, celebrating the Year of the Pig, will be on Saturday, February 23, 2019 at 5:15 pm, stepping off at Second and Market Streets. It is a free event for all to attend, but tickets must be purchased to sit in the bleacher sections. 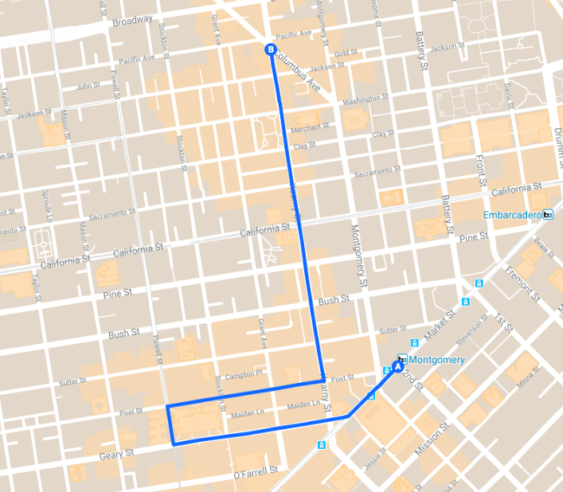 It is strongly suggested to take public transportation.